Should you choose a CARE HOME or receive CARE at HOME INSTEAD? 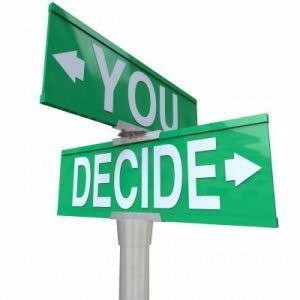 Residential care – should you choose to stay at home instead? Staying at home instead of going in to a care home is becoming a more popular option. Discovering that an individual requires additional care support can be a distressing and difficult time for all involved. Often when care needs are less intensive however there are alternative options available, and residential care can be delayed or could even become unnecessary. The biggest question initially facing individuals requiring care and their families often concerns the choice between residential care, and remaining at home instead. Both have advantages and disadvantages, and both have different financial implications. This can make it difficult to choose which is going to be best for you in the short and long term. In this article we help you to decide whether you are more suited to residential care, or if perhaps you are able (and would be more comfortable) remaining in your own home instead. Residential care is care offered in a specialist establishment in which the individual lives permanently. Usually those in residential care have their own room and bathroom, although they have their meals made for them and wouldn’t normally be able (or expected) to cook for themselves. The amount of independence you have available will depend on the establishment you’re in, and the state of your health. Some residential homes are happy for residents to come and go as they please, provided they are fit and well enough to do so. Residential care is best suited to people who find it difficult to live independently in their own homes. This could perhaps be due to mobility issues, Dementia, mental health problems or a combination of health concerns. Usually those in residential care are unable to live alone without supervision, which is why they are living in a specialised environment which provides the care and support they need. How is residential care different to nursing care? Residential care caters for lower level care needs compared with nursing care. Nursing care provides specialist medical assistance and staff include trained nurses in each team to facilitate this and aid with medical emergencies should they arise. Residential care homes offer a range of support, including personal care (feeding, washing, dressing and toileting) and general companionship, activities and provision of trips out and general personal maintenance like hair cuts. They can cater for individuals with low-level care needs and more advanced care needs. If you have been told that you require nursing care, your options involving staying at home instead may be limited. This is something you can discuss with your GP or social worker. What does care at home instead involve? When you choose to access care at home instead of residential care you are able to remain in the property you live now. You will be able to access the care support you need, but carers will visit you in your home. You may need to invest in equipment to help you to live independently which complements your care package (for example a stair lift or ground floor bathroom). Carers are usually experienced and/or qualified to do their job. Some may be nurses or healthcare assistants – the level of qualification will depend on your care needs and the company you choose. Care at home instead can offer most of the things residential care offers. Should you need assistance getting up in the morning and getting ready to go to bed, home carers can provide this support. They can also carry out errands and essentials like shopping and housework. The scope of care provided is broad, making staying at home instead a suitable and viable option for lots of people. Should I choose to stay at home instead? If independence and remaining in your own home is important to you, then staying at home instead of moving into residential care will be the best option for you. You care needs will dictate whether care at home instead is suitable and appropriate for you. Bear in mind that home care is flexible – you can access it as much or as little as you want. You can also move to residential at a later date if or when needed. This makes care at home instead ideal for anyone with lower level care needs who may or may not expect to deteriorate over time. It’s also a good option for couples who wish to stay together, especially when only one individual requires care assistance. Are there any alternatives to home instead? There are alternatives to home care, but they all involve some kind of residential care. If maintaining independence is important to you and your care needs are less severe, you could consider sheltered accommodation or assisted living arrangements. You would still need to leave your current home, but you would own or rent a property (usually a self-contained flat or apartment) independently. Care provision is available, but you can choose to access it as much or as little as you wish. Usually these environments are very secure and are specially set up with social activities available. Sometimes there are also cafes, hairdressers, shops and fitness centres in the complex where you live. For more information on assisted living you can read our dedicated article here. How do I know which option to choose? Which option you choose will depend on your personal preference and situation. If you want to remain in your own home and your care needs can be dealt with there then staying at home instead will be a good choice for you. 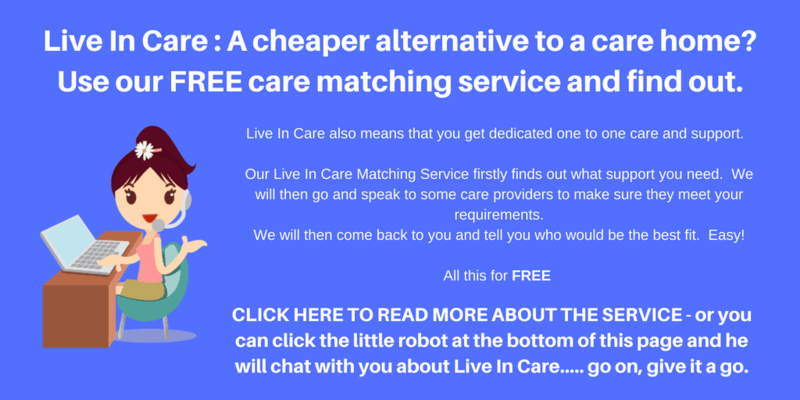 However if you don’t feel safe at home or accessing care at home instead isn’t an option for you because you have more intensive care needs, you will then need to look at alternatives. If you are unsure, you can access home care for a trial period of a few weeks to see whether it is for you. This enables you to make a decision based on experience rather than simply looking at the facts and making an assessment based on your preference and condition. Remember that this decision is yours only and shouldn’t be influenced by the opinions of family or friends. If you need impartial advice, speak to your GP or social worker, as they will be able to look at the situation professionally with your care needs in mind. They will not be biased or affected by personal or financial concerns. If I choose to stay at home instead, how do I choose a home care provider? The first thing to consider is whether staying at home instead is a viable option for you. Is care accessible in your area? Are your care needs suited to a home care environment, or do you perhaps need additional support which is only available in a residential or nursing home setting? If you are unsure you can speak to your GP or social worker and ask them to organise a care needs assessment. This will help you to determine if you are eligible for benefits or NHS Continuing Healthcare, but it will also give an indication of the type of care you need, and whether it can be administered at home. What is your budget for care? Bear in mind that home care costs around £10-30 per hour depending on the service offered and the company you choose. 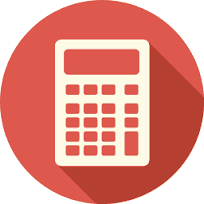 To help you better estimate the costs of staying at home instead of going to a care home, we have developed a home care fees calculator. We recommend you use this to help you understand the likely costs of care. You’ll also need to take into account your future prognosis. If you or your partner are likely to need residential care in the future you should factor the cost of this into your budget. It’s best to consider finances first, as neglecting this crucial element could lead to disappointment further down the line. There may be some companies you like more than others because of their ethos. Perhaps this company provides one carer who you will be able to bond and form a relationship with, where others visit on an ad-hoc basis. Your personal preference is important, so consider the things which matter most to you and consider them when browsing and choosing a care agency. Search online or request genuine testimonials and reviews from people who have used the company’s services before – preferably in a similar capacity as you plan to do so. Word of mouth recommendations are much more valuable than any advertising claims, as these will give you an accurate view of the company’s services and their standard. Home care providers are subject to regulation by the CQC (Care Quality Commission). Some may also be members of the UKHCA (UK Home Care Association). You may like to consider this and look for any accreditations or recommendations either agency has regarding the company you’re looking at. Once you’ve taken the above factors into account, you should then search for providers and make a shortlist, asking for personal recommendations from family or friends who have used their services before. Following this you can contact the care providers to organise a meeting and make your choice based on findings and opinions gained on your visit. How does staying at home instead affect me financially? When you choose residential care, you will need to find funds to pay for it. Residential care can be expensive – especially if it is needed long-term. The government will subsidise the cost of your care, but only for so long as you have insufficient funds to pay for it yourself. You’ll be expected to use any assets you have to fund your care, including any property you own, savings and pensions. This will then be topped up when needed by the government. If you receive supplementary care costs from your local authority you many only be able to choose a home which is approved by them. When your care is fully paid for by the authorities you will be required to choose from a pre-set list of approved homes. Occasionally you’ll be able to choose a home which is not on the list of approved establishments, but this is only possible if the cost of the care is equivalent. When you choose to stay at home instead you will pay for your care in a slightly different way. You are still entitled to financial support from the government, but this will be paid directly to you in the form of benefits (Personal independence Payments for under 65s, Attendance Allowance for over 65s). You can then spend the money however you choose – and you’re free to select a care company which you feel is best for you. If your care needs warrant further visits which are out of your budget and you do not have sufficient personal funds to cover the extra cost you may be entitled to home care provided by NHS Continuing Healthcare is also available to those with on-going medical care needs – you can find details of this in our dedicated article here. It’s important to remember that you may not be accessing home care indefinitely. You’ll need to calculate your care costs taking into account your future prognosis, considering that your condition may change. For assistance with care costs you can contact our advisors or take a look at our handy Home Care fees Calculator. I’m still undecided. Where can I find more information? If you’re still struggling to make a decision on your care you can find further information from a number of sources. Charities such as Age UK and Dementia UK can provide support and guidance, whilst your local Citizen’s Advice Bureau can help you with applications for benefits or sourcing care providers in your local area. It may also be useful to speak with your GP or doctor regarding your care needs, as they could also make recommendations from a professional perspective.